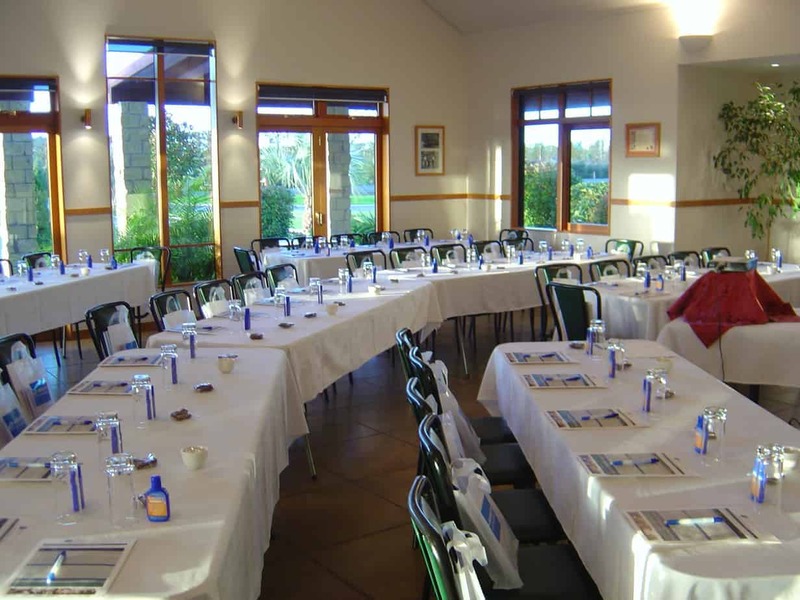 Soljans Estate Winery is suitable for a vast range of corporate events including, conferences, staff training, team building, product launches, seminars and anything else you have in mind. Just a 20 minute drive from the heart of Auckland City, Soljans vineyard setting offers a relaxing environment away from the busy atmosphere of the city. Our modern conference rooms are separate from the café and consist of two rooms which are divided by bifold doors, which can be opened to extend the area if you so wish. The Heritage Room is the main conference room and can be separated from the cafe, allowing for privacy. The room is equipped with a sound system as well as a projector allowing for presentations. The Legacy Room offers a bright sunny atmosphere, perfect for morning events. Both rooms open out onto a patio leading to a large grass area with access to the vines and petanque courts. Soljans has parking room for 50+ cars as well as room for a coach to park. We offer free WiFi on site and offer a selection of catering menus from our award winning kitchen. We also offer equipment hire if there is anything else you need. If you have any further questions or would like to make booking, please feel free to contact our onsite functions coordinator Chloe via email at functions@soljans.co.nz via phone on 09 412 2824 or through the form below.